How much does a proofread cost? Our proofreads cost between $5 and $15 per page or 2 to 6 cents per word based on complexity, density, and turnaround time. We will send you an invoice through PayPal, and you can pay by credit card. You can also request to be billed monthly for multiple and ongoing proofreading needs. Email proofer@double-check.us for more information. Can I wait and pay for several proofs all at once? Yes! If you have a large volume of proofreading work, we can set up an ongoing proofreading agreement with you. We'll track your approved quotes and send you an invoice for the total each month (or biweekly) to meet your needs. Email proofer@double-check.us for more information. When will I get my document back? You tell us your deadline, and we&apos;ll let you know if we can turn it around in time. 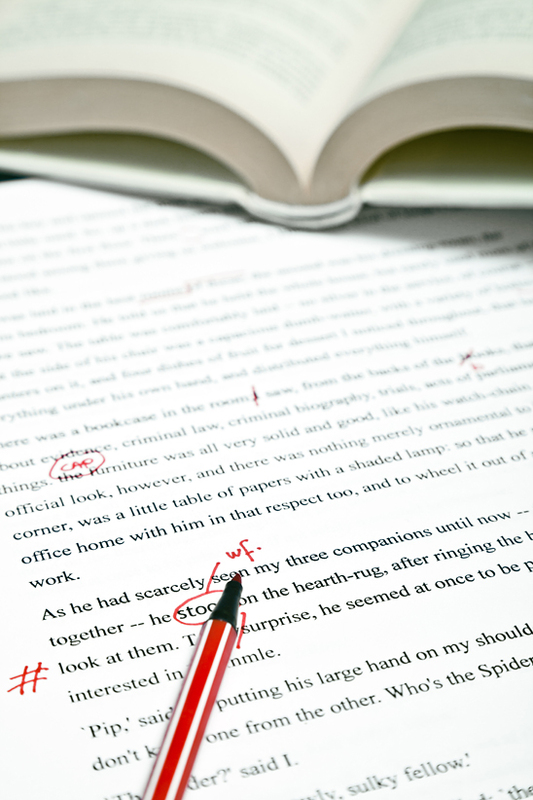 For documents with 100 pages or fewer, we can almost always proofread within twenty-four hours. What do you mean by select a style? Style guides offer rules on usage for numbers, spelling, and punctuation, among other items. Style guides such as The Chicago Manual of Style (Chicago), The Associated Press Stylebook (AP), and The Modern Language Association Handbook (MLA) vary on some points. Newspapers and websites usually follow AP, businesses often follow Chicago, and academics generally follow MLA. Our proofers also know American Psychological Association (APA) and American Medical Association (AMA) styles, which are often used by organizations in the medical and health-care industries. If you have a coporate style guide, we can proof to your in-house style, as well. Not only do we have experience following company-specific style guides, we can help you develop your own corporate style guide. How do I know what changes you made? Hard Copy. We will mark up your document using standard proofreading symbols and mail, fax, or scan and email it back to you. PDF. We use commenting tools in Adobe Acrobat to identify needed changes. You can then make the changes in your source document. Microsoft Word. We turn on track changes and insert comments for you to accept or decline. Microsoft PowerPoint. We use comments and/or insert brightly colored text boxes to identify needed changes. We have also made changes directly and/or recolored new text to highlight it. Adobe InDesign. We turn on track changes for you to accept or decline. What if I don't know what the proofreading marks mean? You can download our Proofreading Symbols document for help. What's the difference between a proof and an edit? A proof includes a review for spelling, punctuation, typographical, and grammatical errors. Your proofer may note consistency errors, but he or she will not attempt to make those editorial changes. A detailed edit is more in-depth and includes a review for organization, format, tone, style, and clarity. Who will proofread my document? Double-Check is a service offered by McKinnon-Mulherin Inc. Double-Check proofreaders are professionals with degrees in English, communication, and education. More than 90 percent are located in Salt Lake City, Utah, and all speak English as a first language. All Double-Check proofreaders are tested, mentored, and trained rigorously. How do I know my information is confidential? We are committed to protecting your privacy. We will not collect any personal information that you do not volunteer. You are the sole owner of all information you send to us for review. We do not sell, share, disclose, or rent this information to others in any way. If you would like us to complete a nondisclosure form, email it to proofer@double-check.us. Yes, we offer technical writing, sales & business writing, instructional design, desktop publishing, and editing services. Visit www.mckinnon-mulherin.com for more information or email info@mckinnon-mulherin.com. Email us at proofer@double-check.us to get started. Double-Check offers quick-turnaround proofreading at a great price for all your important documents. Mistakes make you look bad. Double-Check makes you look good. McKinnon-Mulherin is an information design company that combines strategy, content, and technology to create high-quality corporate communication.